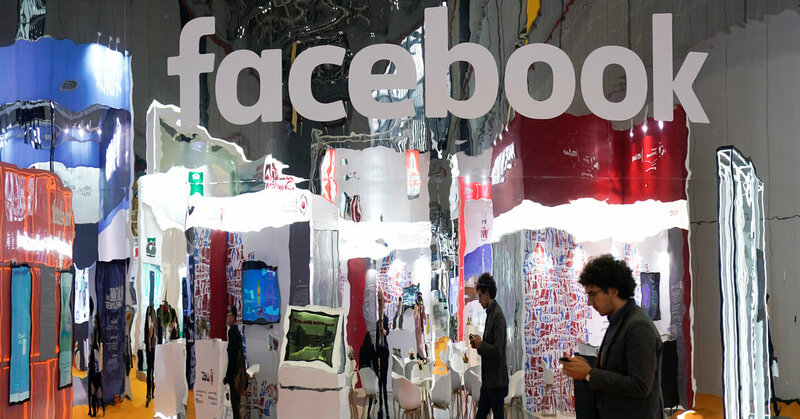 SAN FRANCISCO — Facebook said on Friday that it would no longer force employees to settle sexual harassment claims in private arbitration, making it the latest technology company to do away with a practice that critics say has stacked the deck against victims of harassment. Facebook acted one day after Google announced similar plans. Last week, 20,000 Google employees staged a walkout from the company’s offices around the world to demand that it change the way it handled sexual harassment incidents. Microsoft changed its arbitration policy about a year ago, as did the ride-hailing company Uber six months ago. The technology industry, known for its groundbreaking products as well as its trendsetting office culture, has gone to considerable lengths in recent years to keep work-force disputes out of the court system. Forcing employee complaints into arbitration has become as common as free lunches and shuttle buses to the office. In arbitration, employment experts say, the playing field shifts toward businesses. Cases are decided by arbitrators instead of judges, and the more cases that companies take to arbitration, the better they fare, according to a 2011 analysis by Alexander J. S. Colvin, a professor at the Cornell University School of Industrial and Labor Relations. The use of arbitration clauses, embedded in the fine print of contracts, has soared in the last decade, as corporations try to keep disputes away from public scrutiny. Chris Baker, an employment lawyer and partner at the law firm Baker Curtis & Schwartz, said arbitration cases were often heard by a retired judge who may not be as empathetic as a jury to a harassment victim. They are often shrouded in confidentiality, and arbitration awards tend to be less than those in a jury trial. Mr. Baker said the moves by the tech firms could chip away at arbitration in all kinds of employee disputes because it would be hard for companies to draw the line at sexual harassment. The tech industry is reacting, at least in part, to anger among employees that harassment has often gone unpunished, particularly when powerful executives are involved. The walkout at Google was prompted by a New York Times article last month that revealed the company had paid out millions in exit packages to executives even after it found that they had been credibly accused of sexual harassment. Because the claims are often kept under wraps in confidential arbitration hearings, critics say harassers often move easily to other jobs without warning to future victims. It has become a significant issue in Silicon Valley, where gender imbalance is stark and tales of sexual harassment are rampant. Critics of arbitration requirements have pushed companies to do away with arbitration and confidentiality clauses that often help companies keep the public and their own employees in the dark about bad behavior. Facebook said it would now make arbitration an option, but not a requirement, for employees reporting a sexual harassment claim. Facebook said it had been planning to make the changes to its arbitration policy for “a while” but did not specify a time frame. There is no indication the company was facing specific pressure to alter its policies. In May, Uber announced that it was eliminating the practice for employees, riders and drivers who make such claims against the company. Uber took the step after 14 women who have accused Uber drivers of sexually assaulting them wrote a letter to the company’s board, urging it to waive the requirement and allow them to proceed with a lawsuit in open court. Lyft, Uber’s top competitor, made a similar policy change around the same time. In December, as Microsoft faced a proposed class-action lawsuit by female technical staff claiming discrimination, it vowed to end the arbitration requirement for harassment claims. The women lost the case and are appealing. Microsoft’s policy change was largely symbolic because the company rarely used arbitration clauses in its employment agreements. However, Microsoft also said it would support federal legislation making the requirement of arbitration in harassment cases unenforceable. Apple has never arbitrated a harassment or discrimination claim, said Kristin Huguet, a company spokeswoman. It had a forced arbitration requirement for new employees until earlier this year, but it made arbitration optional and then eliminated the clause from employment contracts altogether. She did not specify when. Ms. Huguet said that even Apple employees who had agreed to such an agreement were no longer bound by it. Companies large and small have figured out how to use arbitration to prevent employees from taking disputes to court and to prevent others, including customers, from banding together in a class action. Some state judges have called the ban on class actions — one of the few ways that ordinary citizens can fight deep-pocketed corporations over unfair business and employment practices — a “get out of jail free” card for employers. In recent years, it has become tough to apply for a credit card, get cable service, rent a car or shop online without agreeing to settle any disputes in arbitration. The same is true for getting a job. The use of arbitration clauses can be traced back to a coalition of credit card companies and retailers that came up with a plan to shield themselves from expensive lawsuits. Starting around 1999, the group’s legal teams began discussing how to use the fine print of contracts to stop class actions. Bank of America, Chase, Citigroup, Discover, Sears, Toyota and General Electric all attended. Arbitration clauses that don’t allow class-action suits are used by a wide variety of companies, including Macy’s and Kmart. In 2016, when Gretchen Carlson sued Roger E. Ailes, her former boss at Fox News, over allegations of sexual harassment, his lawyers pushed for the case to move into arbitration.